DMK working president MK Stalin today welcomed the Supreme Court’s judgement in the disproportionate assets case involving AIADMk supremo VK Sasikala. Described the verdict as ‘historic’, Stalin called on Governor Ch Vidyasagar Rao to take steps for forming a stable government in Tamil Nadu. "Justice done after a long time, after about two decades. It is a historic judgment," Stalin said, adding that the verdict showed how politicians should conduct themselves in public life. The judgment shows that one cannot escape. In public life probity is very important. For all politicians, this will be a lesson," he said. Following the verdict, Governor Ch Vidyasagar Rao should take steps to form a stable government, he told reporters. 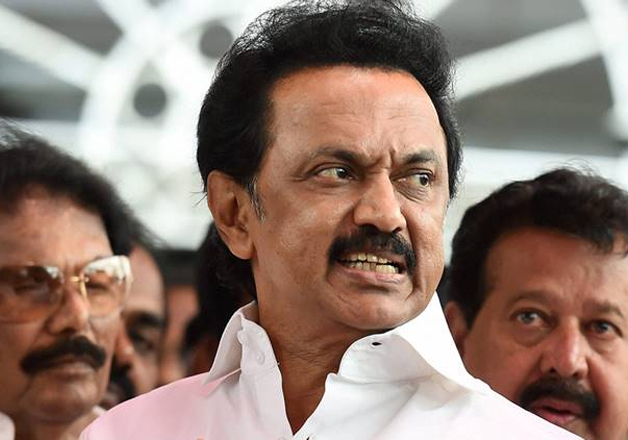 Asked on the stand that his party will take in the Assembly in the event of a floor test, he merely said, "DMK's stand will be beneficial to the country." Earlier this morning, the Supreme Court restored Sasikala’s conviction in a 19-year-old disproportionate assets case. A division bench of Justice Pinaki Chandra Ghose and Justice Amitava Roy set aside a Karnataka High Court order staying the conviction of Sasikala and three by a trial court. The court directed Sasikala and the others to immediately surrender before the trial court and ordered them to serve the remaining portion of their jail term.